New Goa CM Pramod Sawant Swearing-In LIVE Updates: Pramod Sawant is the new chief minister of the state following the death of Manohar Parrikar. 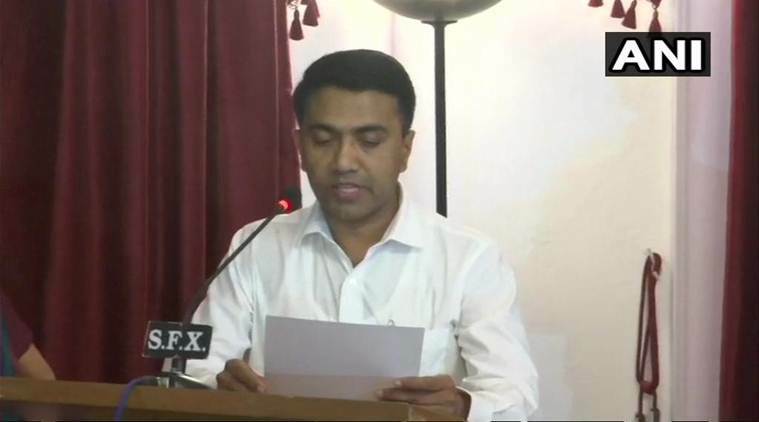 New Goa CM Pramod Sawant Swearing-In LIVE Updates: Goa Assembly Speaker Pramod Sawant is set to be the next chief minister. New Goa CM Pramod Sawant Swearing-In LIVE Updates: Pramod Sawant took the oath as the new chief minister of Goa. Sawant succeeds Manohar Parrikar who died on Sunday after battling pancreatic cancer for a year. A two-time MLA representing Sanquelim constituency, Sawant is among the few leaders in the BJP groomed by Parrikar himself. Late Monday night, twelve ministers took oath in the new cabinet, including Sawant. The new government has two deputy chief ministers, Goa Forward Party chief Vijai Sardesai and Maharashtrawadi Gomantak Party MLA Sudin Dhavalikar, from the two small parties backing BJP in the coastal state. Pramod Sawant, 45, has a Bachelor’s degree in Ayurvedic Medicine from the Ganga Aruvedic Medical College in Maharashtra’s Kolhapur district and was practicing doctor of alternative medicine. He has also completed his Masters in Social Welfare from the Tilak Maharashtra Vidyapeeth, and is known for his associations in youth networks. Remembering Manohar Parrikar, Pramod Sawant before the swearing-in ceremony said, “Whatever I am today is all due to Manohar Parrikar. It was he who brought me to politics, I became the Speaker and the CM today, due to him. The Party has given me a huge responsibility, I will try my best to carry it out in the best possible manner, he added. Pramod Sawant succeeds Manohar Parrikar as Goa's new chief minister. Read highlights here. Goa Chief Minister Pramod Sawant: Parrikar is not amongst us now and the responsibility has been given collectively to me by my party, alliance partners and independent MLAs. This is a big responsibility. Manohar Parrikar was a visionary leader and he had carried out a great body of work for the state. The work he had done is big and while explaining work I always do it in two ways, human development and infrastructure development. When one speaks of human development he did a lot of work for youth, people and for the social sector with schemes which he conceived. He started the Investment Promotion Board. Along with that he also started infrastructure work throughout the state, bridges, Mopa internationairport. I will ensure that the works which have beens targetted will be completed. Whatever time is needed I will give for Goa. I and my associates will work on the principle of Antodaya, to reach out to the last person in society. When asked about the state of mining in Goa, newly sworn CM said, "I will not respond to all questions now. I will speak after taking charge. Portfolio distribution will be done in eight days. I will do it as soon as possible". The coalition is to ensure stability. We have returned to this coalition in the memory of Manohar Parrikar. We moved fast in the interest of democracy. If we hadn’t, the model code of conduct and things would have moved in and it would also have pushed to suspended animation. When the politicians are there. The number of years you spend as an MLA does not make you senior. Every time you get elected you are a five-year term. Unfortunately, some of my colleagues with us or in the alliance partners were expected something else better. It is a day of mixed emotions for us. We have lost one of our greatest leaders Manohar Parrikar who was like a father to us. But only because of his blessings and guidance this could have happened. 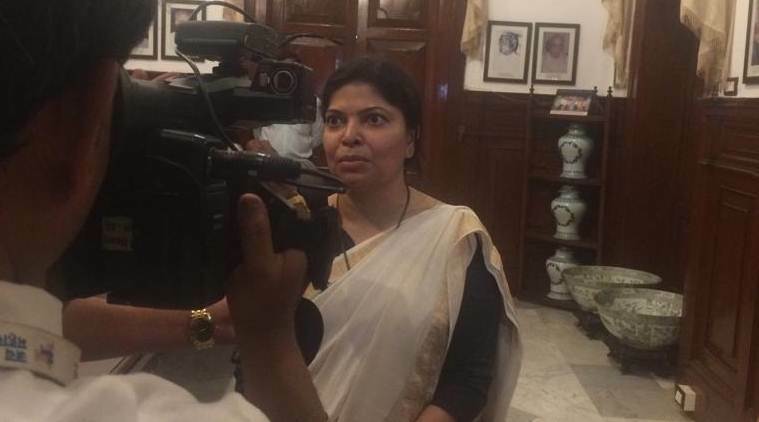 More than the joy, the sense of great responsibility we feel right now is greater, says Sulakshana Sawant, Wife of Chief Minister Pramod Sawant. Sulochana is the Manila wing president of BJP for the state of Goa. Pramod Sawant takes oath as new Chief Minister of Goa, 11 ministers sworn in. Sawant, 45, Bachelor's degree in Ayurvedic Medicine from the Ganga Aruvedic Medical College in Maharashtra's Kolhapur district and was practicing doctor of alternative medicine. He has also completed his Masters in Social Welfare from the Tilak Maharashtra Vidyapeeth, and is known for his associations in youth networks. The 11 others who took the oath as ministers are, Sudin Dhavlikar, Vijai Sardesai, Manohar Azgaonkar, Rohan Khaunte, Govind Gaude, Vinod Palienkar, Jayesh Salgaonkar, Mauvin Godinho, Vishwajit Rane, Milind Naik, Nilesh Cabral. This makes it a 12 member cabinet including Chief Minister Pramod Sawant. Michael Lobo, currently the deputy speaker will be speaker till the new speaker is elected. Remembering Manohar Parrikar, soon to be Goa's new CM, Pramod Sawant, says, "Whatever I am today is all due to Manohar Parrikar. It was he who brought me to politics, I became the Speaker and the CM today, due to him." The Party has given me a huge responsibility, I will try my best to carry it out in the best possible manner, said Pramod Sawant, as quoted by ANI. Congress: Governor Mridula Sinha "agent of BJP"
Calling Goa Governor Mridula Sinha "agent of BJP", Kawthankar said the day will be remembered as "darkest day in Indian democracy." The state is without legitimate govt despite Congress party being the single largest & staking claim to form govt, he added. 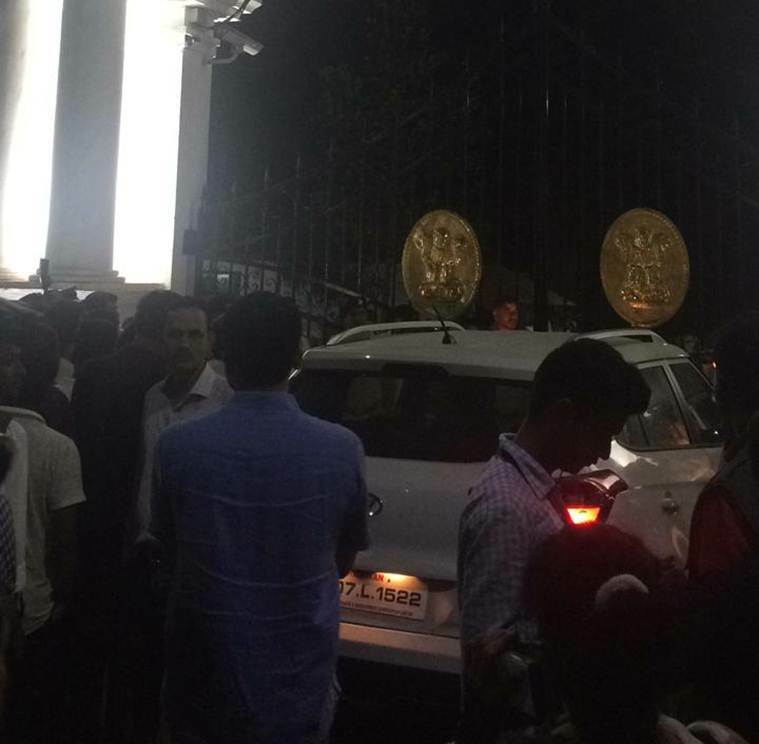 BJP and allies enter gates of Raj Bhavan to stake claim government. Nitin Gadkari is also at Raj Bhawan to oversee the development. The BJP party has staked a claim with the support of 3 MGP, 3 Goa Forward and 2 independents. "MGP together and fully with BJP"
The officials have started to move into Raj Bhavan. Supporters of Pramod Sawant are waiting outside Raj Bhavan gates in good numbers. 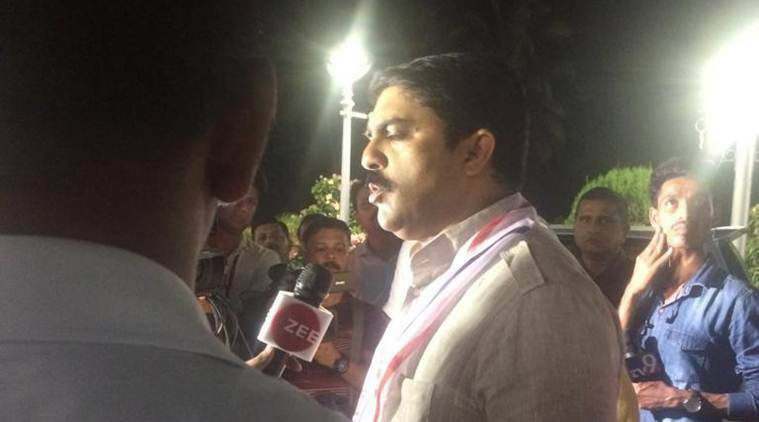 Vijai Sardesai of Goa Forward Party walks in again at Cidade De Goa. Says he hasn’t given his letter of support to BJP. Gates of Raj Bhavan remain shut even as karyakartas arrive in huge numbers. 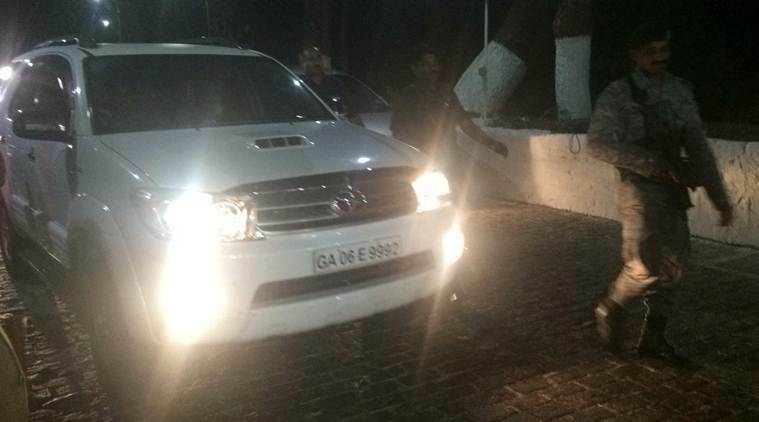 MGP leader Sudin Dhavalikar arrives at Cidade De Goa. Earlier in the day, Congress had visited the Raj Bhavan to stake claim. Claiming that the Congress is the “single-largest party” in Goa, the party asked Governor Mridula Sinha to “dismiss the ruling BJP.” “We do not have an appointment, but she is refusing to give us time. But despite that, we have arrived here to meet the Governor to stake our claim. It is our right as a single largest party in the Goa assembly,” Goa Congress chief Chandrakant Kavlekar had said. The party later met the Governor and submitted a letter to her. BJP president Amit Shah had earlier said that his party was holding discussions with its allies in Goa to decide the new chief minister and will soon meet the Governor to stake claim to form the government. Shah was in Goa to attend the funeral of Chief Minister Manohar Parrikar. The BJP chief also met local party leaders in a star hotel in Panaji along with Union Minister Nitin Gadkari. "The process to form new government will continue now. Senior BJP leader and Union minister Nitin Gadkari is here. We are in discussion with both the coalition parties (GFP and MGP) and also independent MLAs," Shah had said. As per the power-sharing arrangement reached with allies, an MLA each from two small parties backing BJP in the coastal state will be made deputy chief minister. They are Goa Forward Party chief Vijai Sardesai and Maharashtrawadi Gomantak Party MLA Sudin Dhavalikar. Goa Assembly Speaker Pramod Sawant is set to be the next chief minister and is scheduled to take oath at 11 pm on Monday. Sawant will succeed Manohar Parrikar who died on Sunday after battling pancreatic cancer for a year. After the overnight meeting to find the fresh face in Goa reached a deadlock, Union Minister Nitin Gadkari held several rounds of talks with BJP leaders and alliance partner Maharashtrawadi Gomantak Party (MGP) to discuss Manohar Parrikar’s successor in Goa. After the meeting, Goa BJP president Vinay Tendulkar said, “The decision on a chief ministerial candidate is yet to be taken. But the picture will be clear by 2 pm.” He also added that the new chief minister would be sworn in after 3 pm today. While Rane attended the meeting with Gadkari, Sawant was not present in it, reported PTI. The Congress, meanwhile, reached Raj Bhavan to stake the claim. Claiming that the Congress is the “single-largest party” in Goa, the party asked Governor Mridula Sinha to “dismiss the ruling BJP.” “We do not have an appointment, because she is refusing to give us time. But despite that, we have arrived here to meet the Governor to stake our claim. It is our right as a single largest party in the Goa assembly,” Goa Congress chief Chandrakant Kavlekar said. The party later met the Governor and submitted a letter to her.